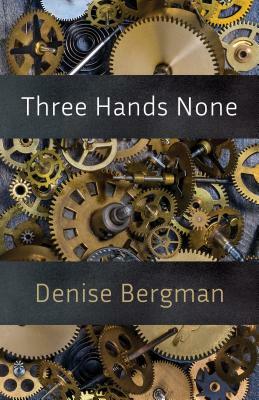 "To read Denise Bergman's THREE HANDS NONE is to inhabit an intimate accounting of a sexual assault in her bed by a stranger that reduced the writer to 'barebones nothing.' The accounting is obsessive, almost Steinian in its use of repetition to render the ripping of self that occurred during and after the event, the long days and nights when she 'sweated inside matted wool terror filthy as a sheep.' The poems that compose the volume read like the raw data of a mind working nonstop to parse the violence that severed her from 'a body once her own.' They collapse the distance between past and present, silence and speech, material and the metaphor, inside and out. The journey is not for the timid; images climb inside and rake your chest. But Bergman's supple intelligence--whose 'home is the range of one's instinct'--and mastery of her craft carry her and her reader through: 'Word on the street is she still lives there.'" --Lee Sharkey.